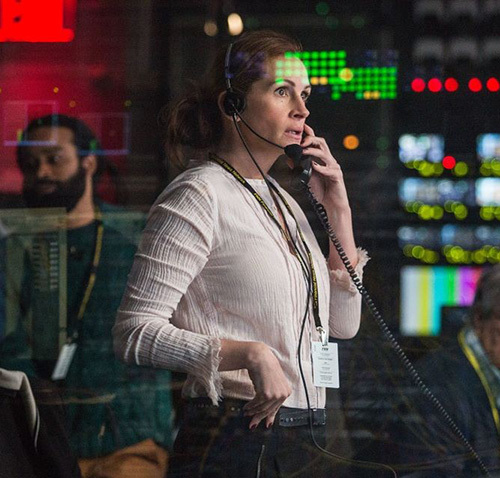 At the conclusion of the high-profile hostage situation in Money Monster, the cameraman documenting the drama for a worldwide audience turns his camera off and sets it on the ground, the lens facing us from the movie screen. Director Jodie Foster lingers on the lens for several seconds, not pandering for a reaction, but cementing the importance of observers in her film and how their action, or inaction – and, by extension, ours – is what’s important. This newsworthy event just happened and revealed some ugly truths…and now what? 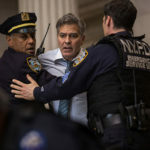 Money Monster doesn’t pretend to have all the answers, nor does it suggest that throwing a wrench into the gargantuan machine that is the American financial system will bring about neat solutions to corruption. It’s just shining a light on the rigged system and the volatility of digital-based trading by way of genre. Though it follows some standard plotting and lacks any truly tense thrills (I mean, do we believe George Clooney and Julia Roberts are ever really in serious danger of being blown up by some wacko? 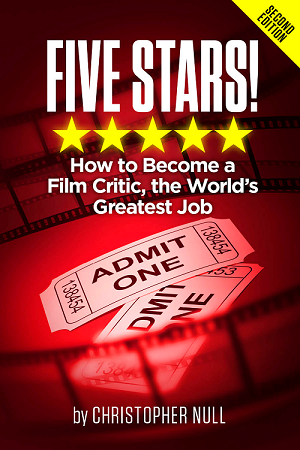 ), the film plays with expectations in interesting ways. Key moments set up as familiar drama/thriller beats don’t follow the tropes, adding a fresh, credible-feeling spin to the action. 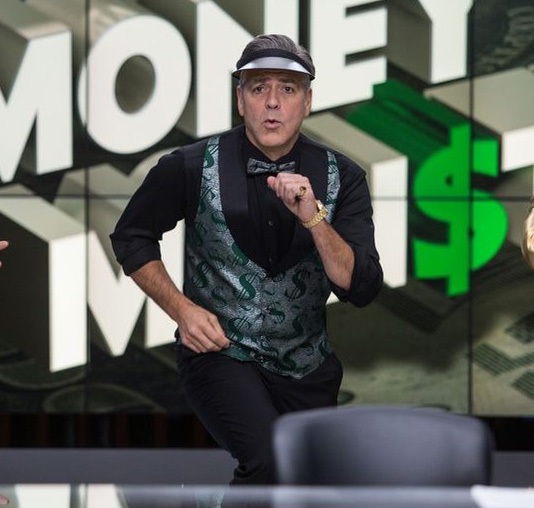 Clooney plays Lee Gates, the host of a goofy financial network show in which he gives stock advice. He’s like a slightly less douchey Jim Cramer. One of his surefire picks, Ibis Clear Capital, tanks due to what the trading fund calls a “computer glitch” and loses $800 million of investors’ money overnight. One of the market victims is Kyle (Jack O’Connell), a working class guy who invested away his modest nest egg. Demanding answers from Gates and Ibis CEO Walt Camby (Dominic West), Kyle sneaks onto the Money Monster set, pulls a gun, and straps an explosive vest onto Gates. With the world watching, the show’s director Patty Fenn (Roberts) guides Lee and her team through the situation while pushing the Ibis Chief Communications Officer (Caitriona Balfe) for the truth. Of course Ibis is involved in some shady dealings and Camby is a deceitful jerk, and the script follows the hostage-thriller playbook when it comes to tracking down the real reason for the “glitch” and also in the actions of the cops, led by movie-ready Captain Powell (Giancarlo Esposito). The good thing is Money Monster doesn’t rely on the plot alone to send its message. The anger of those affected by the willful insincerity of the financial string-pullers is plainly on display, but so is the apathy. And the anger isn’t always directed where you’d expect. 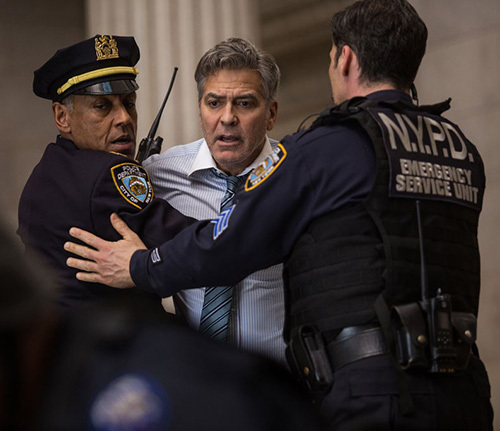 The result of a scene involving a dramatic emotional plea, earnestly performed by Clooney, belies the score that accompanies it and ends in a surprising, and funny, way. When the cops set up a video feed for Kyle to talk to a loved one, it’s far from the mawkish, fist-pumping, or tear-jerking exchange you may be anticipating. Kyle isn’t placed neatly into the role of folk hero, and though Camby is a corporate creep, the guy makes a good point or two when talking about investors who only notice anything when they’re adversely affected. O’Connell brings authenticity to the normal guy in a desperate situation that he has no chance of controlling and West fits the mold of high-powered CEO just fine. Clooney and Roberts have a snappy repartee, she always in his earpiece, that suggests years of working together, which makes sense. More interesting is how the onlookers, watching on TV and eventually in the streets, react. Kyle isn’t cheered, nor is Camby booed. There’s more of a reaction to and poking fun of Gates and his wacky show personality, probably just because he’s a known media personality. Kyle and Camby are temporary diversions in this near-real-time drama, reduced to hot takes and Vine videos by the news media and the public, which is frustrating and scary. It takes a very different route, but Money Monster shares a similar thesis with The Big Short: the rigged game will continually adapt to sustain itself and will stay rigged if left unchecked. Heavy stuff, and as far as entertaining diversions go, you can do a lot worse than Money Monster. The Blu-ray includes deleted scenes, several making-of interviews, and discussions with the cast.